As the granddaughter of HRH Princess Diana and the daughter of the Duchess of Cambridge, Princess Charlotte - the British Royal Family's youngest member - was always going to inherit good style genes. She may only be two years old but the youngest child of Kate Middleton and Prince William is already a little style star as these pictures prove. We take a look back at her two years on this planet to remember her most adorable little outfits to date. 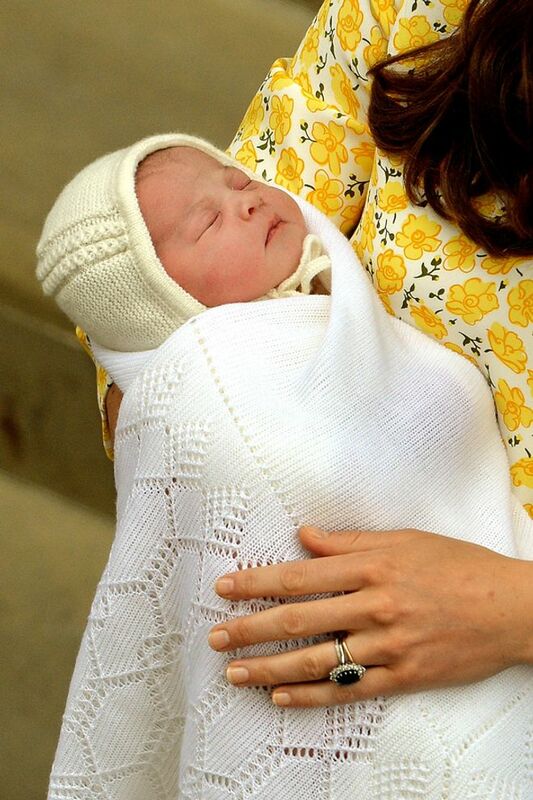 She's pictured here wrapped in a traditional newborn blanket as her mum and dad introduced her on the steps of St Mary's Hospital in May 2015.